It may look like a toy, but a new remote-controlled helicopter seen flying over the New South Wales coast in Australia is in fact an emergency response drone. Currently being tested over the region’s popular beaches, it is hoped it will become the Australian lifeguards’ new best friend. 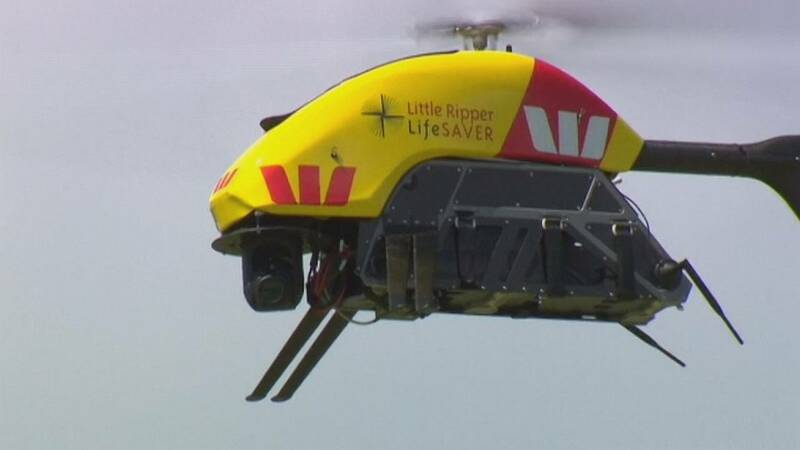 Dubbed the ‘Little Ripper Lifesaver’, it will patrol the coastline beaming back images to alert lifesavers and rescue helicopters. It is part of the new shark strategy put in place by the state of New South Wales in response to the rising number of shark attacks and sightings in the region. “If proven it’ll be terrific to be able to help us spot sharks, (but also) distressed swimmers and sailors that are lost off vessels. There’s so much potential,” said Surf Lifesaving New South Wales President Tony Haven. A pilot and a camera operator control the 25-kilogram military-grade device from land and see everything it sees. The camera can detect sharks better than the naked eye, and the drone itself can help people in trouble by dropping off a small pod containing lifesaving gear until the arrival of the rescue team. “It’s got something that inflates automatically and two or three people can hold on to that, it’s strong enough for that,” explained Eddie Bennet, CEO of Little Ripper Lifesaver. “It’s got an electromagnetic shark deterrent device in it as well, high intensity lighting and it’s got a distress beacon. So it’s got everything you need to give you that extra little bit of help until someone comes along to rescue you. I’m really confident that we can deliver a great product here because we’ve got the technology, we’ve got the people and we’ve got the support,” Bennet added. The first Little Ripper has started patrolling beaches, but it is hoped in the future the drone’s role will not just be confined to the coastline. The team is currently working on getting the go-ahead to use it with search and rescue missions in the bush and snow.